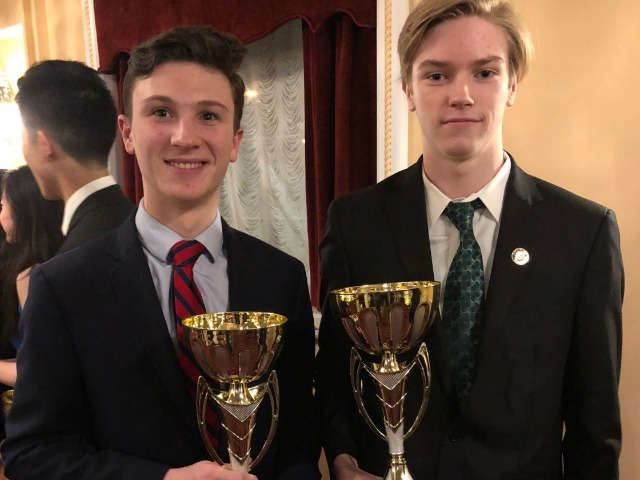 After the best season in Christian Brothers Academy fencing team history, senior Tom Gana and junior Peter Ferraro received postseason honors from multiple organizations. The New Jersey Interscholastic Fencing Association (NJIFA) selected Gana for their first team all-state in the Epee division, while Ferraro earned second team all-state for the Foil division. Gana finished second in the state Epee individual standings, after finishing second overall in the Epee individual state championship. Ferraro was eighth in the state Foil individual rankings. Gana also earned first team all-state in the Epee division on NJ.com. Aside from his performance at the individual states, the senior standout was 7-0 in the finals at the Cetrulo Tournament and 8-1 on the day at the District 3 Championship. His Epee squads won the Cetrulo Tournament and the District 3 Championship, while finishing second at the State Squad Championships. Ferraro was a key member of the Foil squad which finished second in their division at the Cetrulo Tournament. His squad won the District 3 Foil Championship for the first-time in team history.